Likeable, affable heavyweight Larry Olubamiwo announced overnight that his opponent on the big Maloney bill later this month, June 25th at Brentwood, will be the North East’s Dave Ferguson in a cracking contest that serves as a title Eliminator for the British and Commonwealth titles. Great news for both fighters and a boom for Frank Maloney who now manages or promotes a crop of the division’s most viable talents. Ferguson is the more seasoned of the two, though with fluctuating activity and will bring a level of ambition and size Larry hasn’t yet come across in his own embryonic career. Still raw, but blessed with natural power and a thirst for improvement, Larry has become something of a hero among the boxing forums where he happily canvas opinion on his development and future prospects, always doing so with his characteristic humility. He’s a likeable figure. Both represent the perfect opponent for each other. 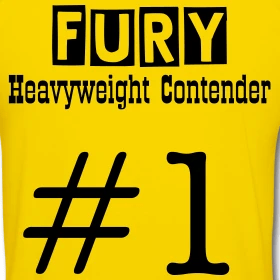 Ferguson needs Larry’s increasing profile to motivate him and provide opportunity to establish his credentials among the younger pack of heavyweights; Price, Dallas, Fury now growing close to title shots of one form or another and relative novice Derek Chisora holding the British title, Ferguson is being left in their wake fighting journeymen. For Larry, Ferguson represents a solid 230 pound opponent with reasonable fundamentals and importantly a foe with plenty to gain from victory and will afford the big Londoner a chance to showcase the snippets he’s collected from time with Freddie Roach, and according to yesterday’s reports in the Daily Star a brief session with Lennox Lewis, while in America recently. A good fight for both men.